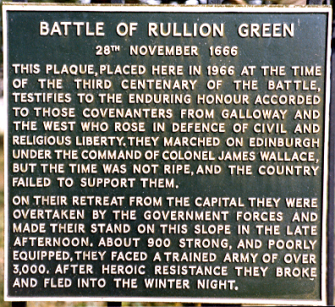 The Battle of Rillion Green took place on this spot, the end of what was known as the Pentland Rising. The Covenanters were defeated in battle against government troops. Many were killed on the spot, others fled and died of injuries. Many were arrested and tekn to Edinburgh for trial. 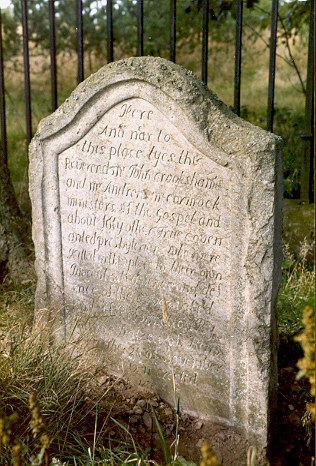 A number of Covenanters were tried and sentenced to be hanged elsehwre, such as Irvine, Ayr and Dumfries.